Google has recently come up with a new version of its Google Search Console. 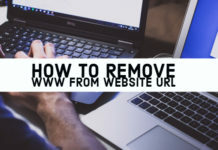 The Beta version has added a new feature that lets the webmasters have an insight into their website and ensure that their site does not suffer any adverse issues affecting their SEO ranking. 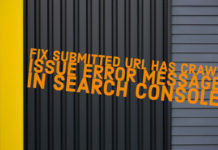 One such error report you may get concerning your site is New Index Coverage Issue Detected. If you have received this message through your email from Google, you may be wondering something has affected your Google Indexing. 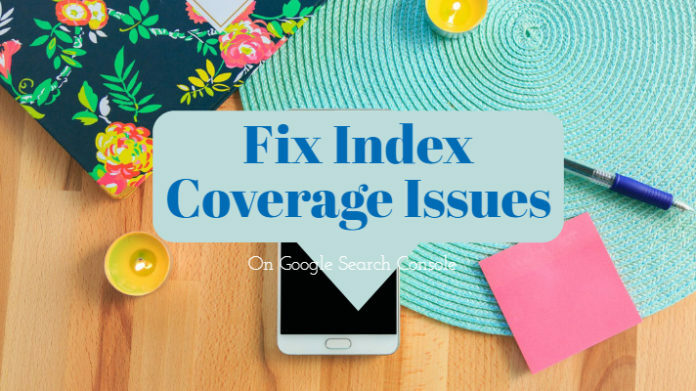 In today’s post, we will discuss how to fix index coverage issues detected in Google Search Console. After the recent launch of the beta version of the Google Search Console, Google has sent a mail to everyone affected by the issue. The message is sent when Google detects a URL of your site marked ‘noindex.’ If you are one of those who has received the message, do not ignore it. The error can be detrimental to Google Indexing and affect your SEO ranking badly. Let us check out a few fixes that can be used to address this concern. The fix to address this concern can be a little longer and time-consuming. So, get yourself a cup of coffee and set out to address the issue. Google should let you know what you should do to address the issue. It will ideally offer you four options to choose from. You may find the best solution among Test Robots.txt Blocking, Fetch as Google, View as Search Result, Submit to Index. Txt may not be allowing the search engine to index the concerned pages. Check with your robots.txt file to fix the issue by making it allow the page for indexing. Some pages may not be fetched through the Google bots. Choosing Fetch as Google should allow you to solve the issue. Your meta robots tags may be incorrectly tagged. If any of your pages have a noindex, nofollow or noindex, follow in the meta robot option, Google will not fetch the pages. If this is the issue in your case, you can remove the tags and check it again. If you do not find any issue being affecting your page, you may submit your page again to find if it gets indexed this time. Well, one of the best options you may use to solve the index coverage issues on your website is to use Yoast SEO plugin. In fact, this can be applied only if you are using the WordPress for your site. In fact, most of the bloggers use WordPress. If you are one of those, we are sure you are using Yoast SEO for taking care of the SEO requirements of your website. 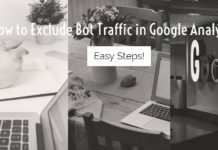 It can effectively be used to address the Index coverage issues you may be facing on your website as reported by your Google Search Console report. Follow the steps here below to address the Index Coverage issues making use of Yoast SEO. Log in to your WordPress dashboard for the affected site. Next, navigate to the affected post (or URL). Click on Edit for editing the post. Go to Yoast SEO Settings. Locate the option Allow search engines to show this Post in search results? Choose Yes for this option. Next, do the same for the option Should search engines follow links on this Post? That is it. Save the page so that the changes you have made will take effect. You will need to repeat this procedure for each of the affected pages on your blog. Edit the Yoast SEO settings for all the pages and save the pages afresh. Now everything set in place Submit your sitemap once again to the search engine. That should do it. You have successfully addressed the Index Coverage issue on your website. Google should now be able to index your pages without any issues. You may have accidentally marked the meta robots index to no index. It can easily be fixed by checking for the viewing the source for the page. You should be able to find the noindex tag or nofollow tag for the page. Here is how you can address the issue. Navigate to the affected pages shown in the Google search console. Check the affected pages and click on View Source. 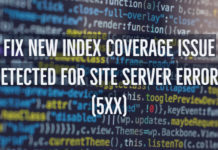 If you find the noindex and nofollow tags in the source code, it should be the exact reason for the report that your site has index coverage issue on your website. Choose to follow under this setting. Confirm the changes and save them. View the Source Code once again. The issue should be sorted out and the noindex and nofollow errors should be gone now. 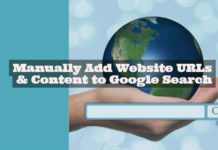 Submit the page to Google so that it can be indexed again. That should complete your complete exercise of handling the Index Coverage issues detected in Google Search console. Well, Google has been coming up with innovative ideas to help you and your site work as expected. The new beta version of Google Search Console should be helpful in addressing the concern you may have with respect to the index issues on your site. 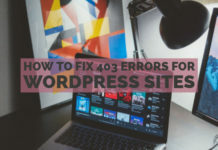 In case you have received a mail indicating the index issues with your site, take corrective action right way without ignoring it. Indexing issues may be risky enough and can cost you dearly in terms of site performance. Follow the steps indicated above and work towards streamlining the performance of your site. Previous articleHow to do a WordPress PHP 7 Compatibility Check? Which Web Host Supports It? We are a group of authors specializing in technical writing with decades of combined experience. We dedicate ourselves to bring you quality content.